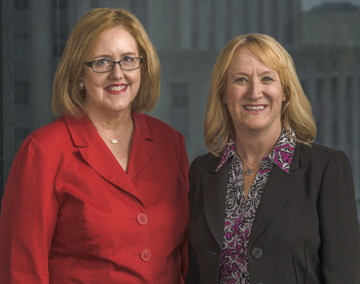 In 2016, Suzy and Becky joined forces and created MyHart Communications. The new partnership allows them to combine their strengths to offer top-notch services to their clients. Their knowledge and passion and support for the local community makes them an unstoppable duo. Becky has more than 25 years of experience in public relations, journalism, marketing communications and community and government relations. Her passion, rooted in her journalism training, is finding out what makes her clients tick and then bringing those stories to life by telling them to their audiences. Her media contacts range from local to national and include trade press in numerous market segments. Becky formed her own public relations firm in 2003 and provided services to clients in a wide range of niche markets including construction, commercial and multifamily real estate and development; legal and accounting services; recruiting and consulting; hospitality; technology; energy; industrial; and industry associations and non-profit sectors. 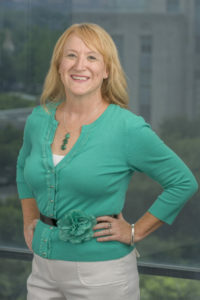 She has provided media and public relations expertise to numerous clients including BoyarMiller, the Harris County Toll Road Authority, Houston Apartment Association, Houston Technology Center, Linbeck, UHY and Uson. Prior to that, she served as Communication Manager for Texas Instruments, City of Houston public information officer – both in Mayor Lee Brown’s office and in the Planning and Development Department, and as a business reporter at the Waterbury Republican, a daily newspaper in Connecticut. In the 23 years Suzy worked for the City of Houston, she was fortunate to spearhead numerous projects that made a difference in our community. With deep roots in Houston, she has been an active participant in the amazing transformation Houston has undergone in the last 20 years, making it a destination for visitors from around the globe. 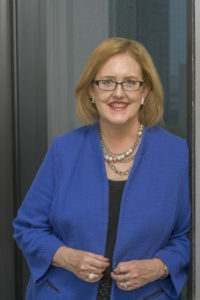 Suzy developed extensive communications and government relations expertise during her tenure at the City of Houston. She directed numerous communication projects focused on issues such as development, urban planning, housing, economic development and neighborhood sustainability. She was recognized for her work on projects including Plan Houston, the 2010 Census, Stop Trashing Houston, Homes for Houston and the Connections Conference. Prior to her service at the City, she was a Project Manager for Uptown Houston and served as a legislative assistant to a member of the U. S. House of Representatives. She has won a number of awards from the Houston Chapter of the International Association of Business Communicators (IABC), the Texas Association of Municipal Information Officers and the City-County Communications Association. She served as president of IABC Houston and Women Professionals in Government. In the 23 years Suzy worked for the City of Houston, she was fortunate to spearhead numerous projects that made a difference in our community. With deep roots in Houston, she has been an active participant in the amazing transformation Houston has undergone in the last 20 years, making it a destination for visitors from around the globe.Suzy developed extensive communications and government relations expertise during her tenure at the City of Houston. She directed numerous communication projects focused on issues such as development, urban planning, housing, economic development and neighborhood sustainability. She was recognized for her work on projects including Plan Houston, the 2010 Census, Stop Trashing Houston, Homes for Houston and the Connections Conference. Becky Myers (right) and Suzy Hartgrove (left), Co-Owners of MyHart Communications.